Coach Jerry: Sue is a special athlete who very much deserves to be recognized for an outstanding spring season. My biggest challenge with Sue is to convince her to do less–she’s so dedicated and so tough that, left to her own devices, she would literally run herself into the ground. But Sue is quite coachable, and she’s buying into the concept that a big part of the training is proper rest and recovery. With a sensible plan in place, Sue is going to accomplish some big things this fall. I’m excited to see what she can do! 2) Goal race(s) for this year? Other races planned? My “A” race for this year is the Steamtown marathon (Erin sold me on it, so I’m hoping it’s a good one!). I don’t want to divulge my time goal bc I don’t want to jinx myself, but it will definitely stretch me at my age to reach it. 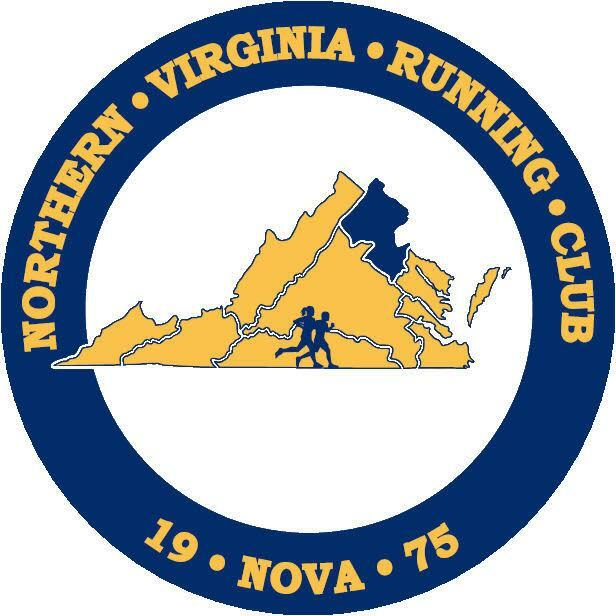 Other races I plan to run Wine Country Half in Jun, Leesburg 20K, maybe Annapolis ten miler and hopefully a couple of 10ks to get some good speedwork in. The other “Big ticket” running event I’m planning to do this year is the JFK 50 miler in Nov 18. It’s a bucket list item for me to do before I turn 50, which will happen in 2019, so this is the year to do it. I figured since my mileage will be up for Steamtown, I’ll just need to take a break after that race and then ramp up enough miles in the right way (not the speed!) to get through it. I won’t even think about it until after Steamtown. The goal is to finish and no, I have no intention of becoming an ultra marathoner!! 3) What do you consider your best race performance to date? 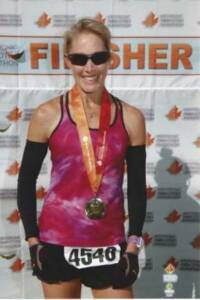 My 10 mile/half and marathon Prs and my Ironman race are definitely my best performances to date – all three of the running races were perfect, magical races in that I felt GREAT the whole time, strong till the finish. Not surprisingly, the half and ten mile PRs came in the middle of training cycles for a marathon, so I didn’t train specifically for them but the marathon training definitely made me stronger for those relatively shorter distances. The Ironman in 1995 in Hawaii is right up there with my best race performances too because while I didn’t blaze the swim and bike portions, I ran a 3:21:24 marathon which was the 4th fastest run split of all the women (including pros); and I felt great during that run. Oh, to be young again! 4) How and when did you find NOVA, and what do you like best about the team? Emily Potter hooked me up with NOVA when she found out I was moving back to the DC area. I love the supportive aspect of the team and the weekly newsletters and communication. I have a hard time getting to the Tuesday workouts because of family commitments and it’s hard for me to run at night, which is really unfortunate because I know it would help me more to run with the team on those nights and I would feel more connected, but I still feel like I’m part of the team through the weekly correspondence and the times I do get out there (which will be more now that we’re back at TC Williams). 5) What’s the best piece of advice you’ve received from Coach Jerry, and/or another member of the NOVA club? Rest! Take the proper downtime after big events to let your body recover. I know this is true, but sometimes you need a coach to tell you that! 6) What thoughts do you have on your performances at your numerous recent races? I was disappointed with my performance at Boston because I felt like I was in shape to run significantly faster and didn’t, but the weather really consumed me and took the wind out of my sails. It was by far my slowest Boston race; however, I was thrilled with my race at Cherry Blossom (which was actually more important for me to run well than Boston since I only wanted to run Boston for fun in the first place) because I felt like I finally was starting to run like I used to be able to run. I was super happy with my marathon in March (Lower Potomac River Marathon) too because it was just supposed to be a “training run”, but I ended up running it much faster than anticipated – and I felt so strong at the end that I was able to really push the last 4-5 miles. I just felt great and it felt so easy. 7) What non-running fitness related (or other) activities do you enjoy? Writing, biking, spending time with my kids, cooking with my husband.